Straw Bags and Rattan Handbags from Bali Indonesia. Various bags including handbags, shoulder bags, shopping bags, tote bags and many other bags for woman. 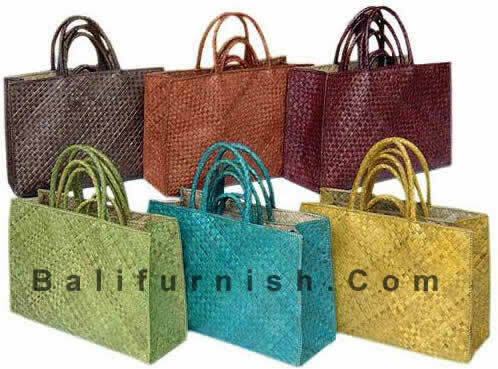 These bags are made of various natural materials which available widely in Indonesia such as rattan, straw or jute, raffia etc. 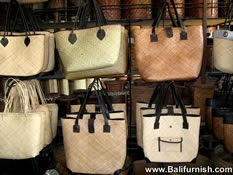 Rattan Bags Bali. We have a lot of women bags rattan for you. As seen by photo below. More photos of rattan handbags available on our web site. Please go to our online catalog to view a lot more. These are our ready stock for you to order. If you need more, we can make it for you. Due to handmade nature of our products, which takes time to make, please order our products weeks in advance. The earlier you order the better.